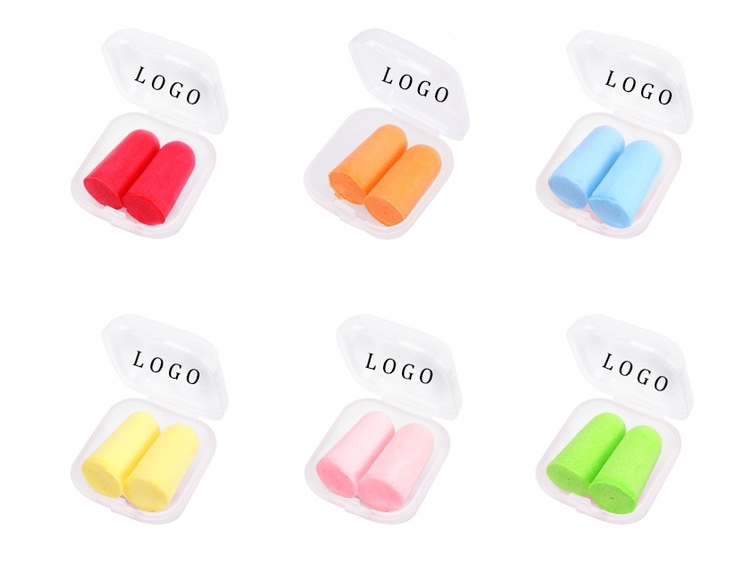 PU foam bullet-shaped ear plugs packed in a plastic square pocket-sized case. Great for sleep, travel and sporting events. Custom logo can be imprinted on the face of plastic case. One plastic case includes 2 pieces ear plugs. Package: 1000 pcs/ctn, 15.4 lbs/ctn.